Some species are comprised of female-only members, giving themselves a competitive advantage over species that produce both male and female offspring. Since the females are capable of bearing offspring, they can quickly outnumber other species in which half the population – the males – do not. However, these all-female species are disadvantaged due to a lack of variety in their gene composition. This affects their ability to develop genetic adaptations to environmental changes and parasitic attacks – and thus their long-term survival as a species. 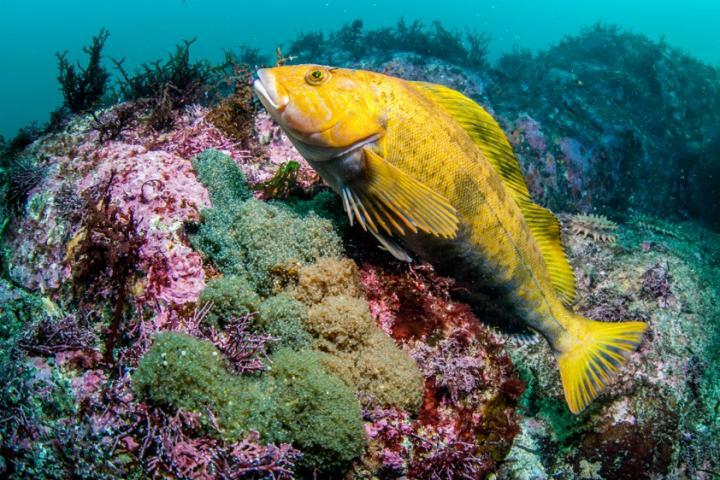 A set of all-female hybrid species of north Pacific Ocean greenling fish belonging to the genus Hexagrammos was found to have boosted its long-term survivability by switching from one mating species belonging to the same genus to another. Researchers from Hokkaido University in Japan analyzed the genes of two naturally-occurring hybrid greenling strains – Hexagrammos octogrammus/H. agrammus (Hoc/Hag) and H. octogrammus/H. otakii (Hoc/Hot) – as well as the genes of fish that provided these hybrids with their original maternal genetic material, H. octogrammus (Hoc). The hybrids produce all-female offspring, but they mate with males whose sperm activate the egg to start development. Both the male and female genetic material play roles in the newly developing embryo, but only the female genome is inherited by the subsequent generation because the male material is excluded when the offspring form their own eggs. By comparing the genes of the three species, the researchers were able to form a genealogical tree that showed that the species Hot and Hag, which provide the hybrid species with the male genetic material, diverged from their common ancestor around 1.5 million years ago. Their analysis revealed that Hoc/Hot hybrids did not originate as a result of breeding between Hoc and Hot. Rather, hybrid Hoc/Hag females switched from breeding with Hag males to breeding with the larger Hot males that would better protect their eggs. This "host switch" is thought to have first occurred approximately 2,000 to 20,000 years ago and is likely a reason that these hybrids have managed to survive for so long. The team also found evidence that suggests that when Hoc/Hag females mate with Hoc males, the resulting Hoc offspring have the same morphological characteristics of other Hoc fish. These "backcrossed" Hocs go through normal germ cell development in which genetic recombination can occur between maternal and paternal genomes, resulting in germ cells with a more diversified genome. "When a female descendant of one of these backcrossed Hocs mates with a Hag male, a new all-female Hoc/Hag hybrid lineage arises. This could be another factor that increases the diversity of Hoc/Hac hybrids, increasing their survivability," says the paper's lead author, Hiroyuki Munehara.